Camping is a big thing in Australia. Aussies have numerous options when it comes to camping sites, which are scattered all over the country. Wherever you are in the country, you don’t have to worry about finding the best camping spot. However, you need to think about the stuff you will bring to your camping trip to make the experience a memorable one. If you need help in finalising the checklist of things you need to bring, check out the list of essential camping gear, equipment, or tools to buy and use in 2018. You can’t go wrong with this one, especially when you’re planning to sleep under the stars. Polyester is always a great item to choose when it comes to sleeping bags to keep you warm during the night. It is also advisable to buy a rip and water-resistant sleeping bag. Camping is not complete without tents. Some people prefer using sleeping bags for shelter, but nothing beats the experience of putting up a tent and then sleeping in it. You also don’t need to worry about spending over an hour just to set it up. 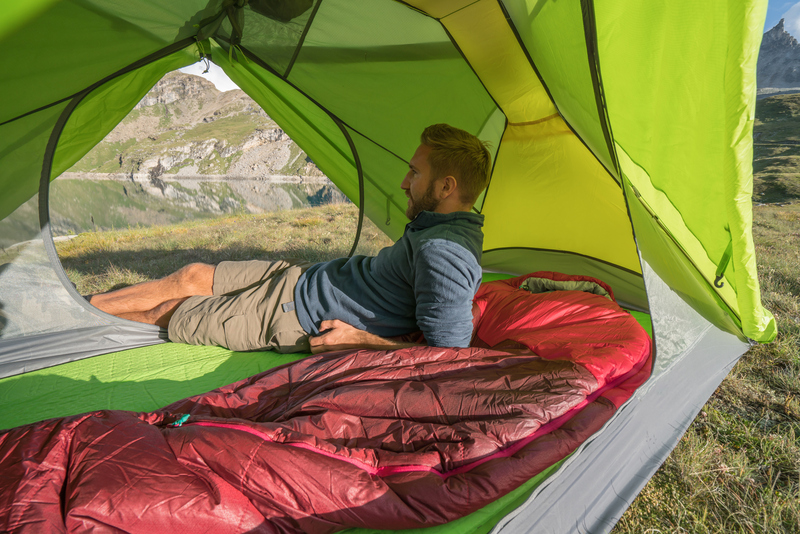 The tents of today are designed to resist heat, rain, and even strong winds. Most of them come as packaged offers with easy-installation options and manuals. Just make sure you bring all the assembly kits. Camping is about embracing nature, but that’s not the only thing camping is all about. Camping is maximising all available resources you have to make your trip a camping celebration. Gentrax Inverter generators draw a lot of attention these days, as they provide hours of reliable and strong electric supply. If you are not convinced with using a generator, then why not give portable solar panels a try? Many campers bring their solar panels to camping trips. This allows them to enjoy nature during the day and feel convenient with a dash of modernity at night. Electricity supply is also advisable especially in times of emergency. Solar panels in Australia are common for camping caravans or RVs. Most of them are also eco-friendly. Portable showers are common for campers of today. Most camping sites set up shower areas for campers, but why not bring your own, so you don’t have to wait in line to use it? Stay fresh and clean with your own solar heated shower. The smallest items in this list are also one of the most essential. Many people stay away from fire as much as possible because of the risk of wildfires. Make sure to bring batteries for lighting in your camping trip. You always need to take severe heat and heavy rainfall into account when you go camping. It is best to bring another layer to cover yourself, your family, and your tent with. You can bring a canopy or a tarpaulin, although you might also want to lean on a tarp. Make sure to find the perfect camping site that can accommodate your tarp or canopy. A bonfire or anything that has to do with fire should be disregarded to avoid triggering wildfires. However, a heat source is necessary for camping, especially during cold nights. Portable fire pits are easy to carry around and to secure for safety. This is a given, all the time. It is best to have a couple of medical supplies and some medicines available in case of injuries and ailments. Make sure you wear the right clothing, footwear, gloves, and headgear for camping. This is not only about style, but also about safety. Make sure you are comfortable moving through a forest or along an open field. All of these items or equipment are essential for camping, but it does not mean you should bring everything in this list. Bringing so many items to your trip may affect your mobility. Before camping, make sure you learn about the safety guidelines for campers. There are many resources online. You may also ask your family and friends for more tips and updates about camping in the country. If you don’t have most of the items listed above, don’t worry. Outbaxcamping is a one-stop-shop for your quality camping gear. Simply visit Outbax’s website and browse through the company’s wide selection of camping gear, tents, items, and others. Once you know what to bring, you’re ready for your camping trip. A camping experience is also better when you are with the people you love. Ensure that you have everything you need for a fun and safe trip.